Every year, some big pro writer blasts the frauds and parasites that make up the ‘cottage industry’ that surrounds writers. He’s never needed to pay for notes and nor should we. What these pro writers don’t realise is they’re nearly always coming from a place of privilege. They’re pro writers, of course they don’t pay for script notes. They’ve got agents, managers and pro writer BFFs for that. Duh. And good for them. Sure, they’ve worked hard to get their due – no one doubts that – but most of us work equally hard. Yet we may not have agents, managers or pro writer BFFs. Supersadface. So, paying for notes is an ‘obvious’ solution. But of course, not all paid-for readers are created equal. Some are bloody awful. Some are middle of the road, or just starting out. Some are good, but you don’t get along with them. These things happen. But you know what: sometimes paying for script notes WON’T help either. But not just because the giver is no good … but because the writer or project is no good, or simply not ready to hear those notes. Contrary to popular belief, feedback is not a one way street. Every time a pro writer blows a gasket about paying for script notes or the so-called ‘cottage industry’ surrounding screenwriting, he is marking himself out as a dinosaur. The internet won’t have been around when he started either, but I’ll bet every quid I have he’d rather work in an industry that makes it easier than ever to connect with his peers and his potential audience. That’s why you see pro screenwriters talking to one another on Twitter, making podcasts, doing crowdfunds, sharing reviews and all the rest of it — just like the rest of us. There’s actually no need to ever pay for script notes, just like there’s no need to ever pay for writing advice in books, courses, events and so on. The internet is here and a huge chunk of is it free. If you want to sort the wheat from the chaff yourself and try and find your own writer BFFs for feedback, you can. That’s the beauty of the internet. It’ll probably take you at least twice as long to find everything and everyone yourself, but it can be done. I won’t deny it. Your research. 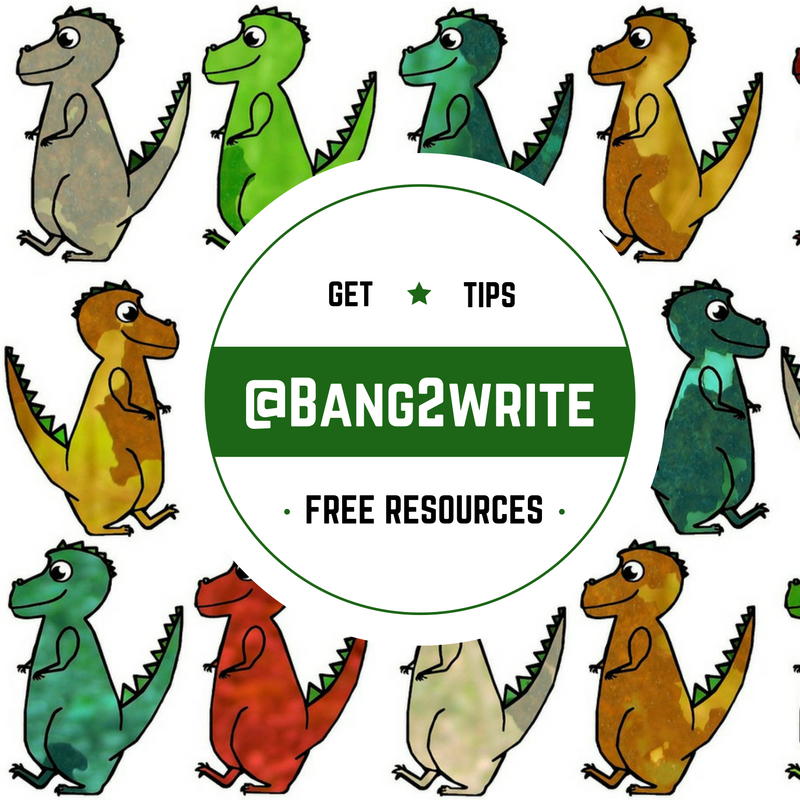 Whether you’re writing genre or drama, IMMERSE yourself in the versions of your story that have come before … Or all a script reader or editor like B2W is going to say is, ‘Have you seen [MOVIE/TV SHOW]?’ and you’re going to say ‘No’. Whilst you can’t watch everything in the known universe, you should know all the obvious ones, plus a few obscure ones … it can only AID in telling your own story, plus help you avoid any obvious pitfalls. Got connected, especially online. Getting connected and finding out who-is-who-and-doing-what is non-negotiable. It’s easier than ever, thanks to the internet and social media, but also try and read about your industry. Know what is going on. Again, it can only help you. Done peer review. I always say to Bang2writers there is no point paying good money to a script reader until you’ve gone as far as you can with peer review. Why have me going through all the ‘obvious’ stuff when your friends can for free (as you can for them in return)??? Join The B2W FB Group and post a peer review shout-out. Made plans / got a strategy. It comes down to this: if you’ve set goals and have a strategy for your writing career, then you’re more likely to achieve it. Sure, you can throw spaghetti at the wall and some of it might stick – but it will be by accident, rather than DESIGN. Get real and get there, on purpose by planning and paying for notes when this fits in with your writing goals. 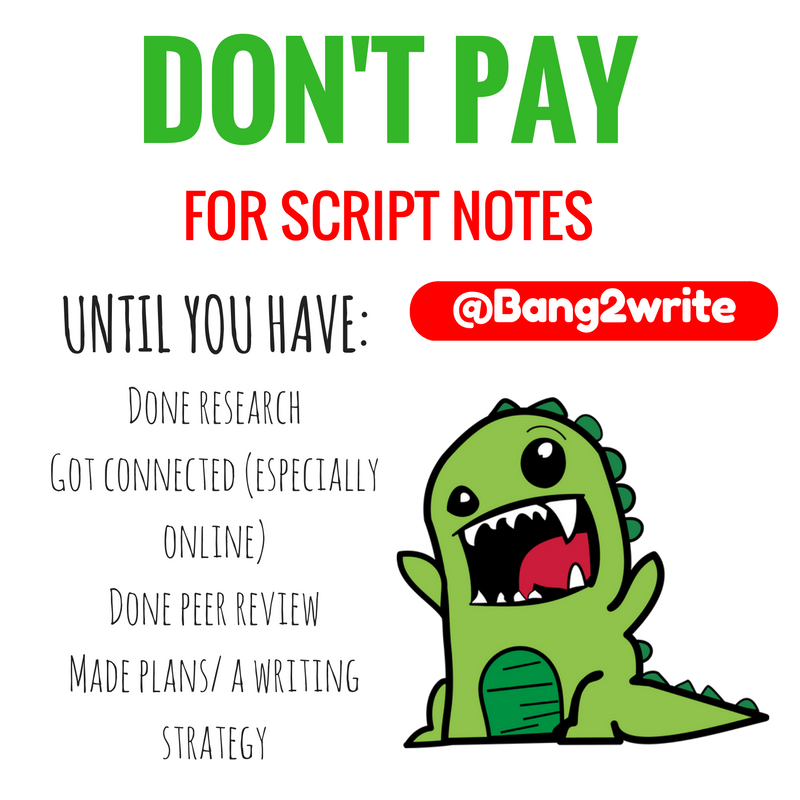 Sure, don’t pay for notes if you don’t want to — but if you do, to get the best value make sure you’ve taken your draft as far as it can go … Whether that means in terms of your own research; your connections and peers; or with reference to your overall strategy and/or writing goals. 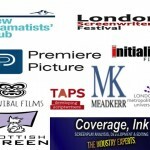 Then check out my course, in conjunction with Londonswf, at Ealing Studios! Check out all the details HERE, including pix from previous courses and delegate feedback. If you want to be a script reader yourself, or learn how your script gets assessed ‘behind the scenes’, then this course is FOR YOU. I don’t know if it’s a BIG group of charlatans to be fair, plus there are always those starting out who won’t have done much BUT their advice is great. Everyone has to start somewhere, after all. But like you say, it’s not difficult to find the people who actually know what they’re talking about in the age of the interwebz. To be fair, I’m not sure IMDB is the best place to check credentials. There are excellent script readers out there who work in production companies and never get individual credits. They’ve got no interest in becoming writers, their entire world is finding and reading scripts. Some of these people have been doing the job for 20+ years and know the industry backwards. Similarly, I recently did a stint as a visiting screenwriting lecturer, and there are lecturers who spend their whole career doing script notes for student writers. These are people who know the nuts and bolts of the craft intimately. Again, they’ve got no ambition to be writers, they love teaching. It’s simply not true that ‘those who can’t, teach’. It’s such a different skill set. A good reader is worth their weight in gold, it’s all about finding the ones you click with.